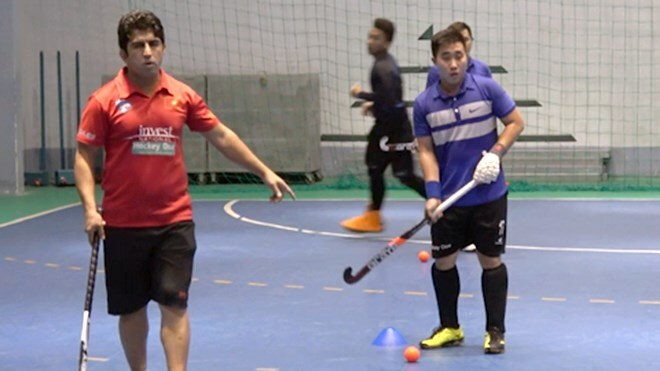 Hanoi (VNA) – The national men’s hockey team set a goal to win a gold medal at the 29th Southeast Asian Games in Malaysia to heighten the sport’s position in Vietnam. Singaporean hockey player and Asian Hockey Federation ambassador James Chew, who introduced hockey to Vietnam, said he is optimistic about the chance of the Vietnamese national team at SEA Games 29. The team has attained a good level of competence and they are now able to compete with their peers in the region, Chew said. Hockey has been played in Vietnam for 10 years. When introduced in schools in HCM City in 2007, it was quite well-received. The national team was established in 2013 and for the first time in Vietnam’s sports history, they played hockey in the Southeast Asian (SEA) Games in 2013 in Myanmar. But they lost to Singapore in the event’s first match. However, the team could hope for the best this year when they are about to compete in another category, Indoor Hockey, in which they are more confident.